One of the main priorities of the European Union is to work towards creating cohesion and convergence across Europe and with our partner countries. The EIB supports this goal with the full range of its activities. We work to help economically disadvantaged regions compete better and achieve sustainable growth. Between 2008 and 2017, the EIB's support for cohesion objectives within the EU amounted to around EUR 206 billion. A mixture of loans and advisory services enables the EIB to play a critical role in addressing regional economic imbalances and raising living standards across the EU. Flexible lending to regions, getting financing to the local level, where the needs of citizens are best understood, is an important part of this. Our financing enables regions and EU Member States to implement grant-based projects by facilitating the necessary co-financing at national level. The EIB’s contribution to regional development plays a key role in safeguarding jobs and growth by enabling investment to go ahead. The main types of projects we support are in the areas of infrastructure, assistance to innovative companies, information and communication technologies, improving the urban environment, and trans-European networks. The Polish city of Kraków is well known for its medieval old town that every year attracts large numbers of international visitors. It is, however, the modernisation of the city that is of more immediate concern to its inhabitants. 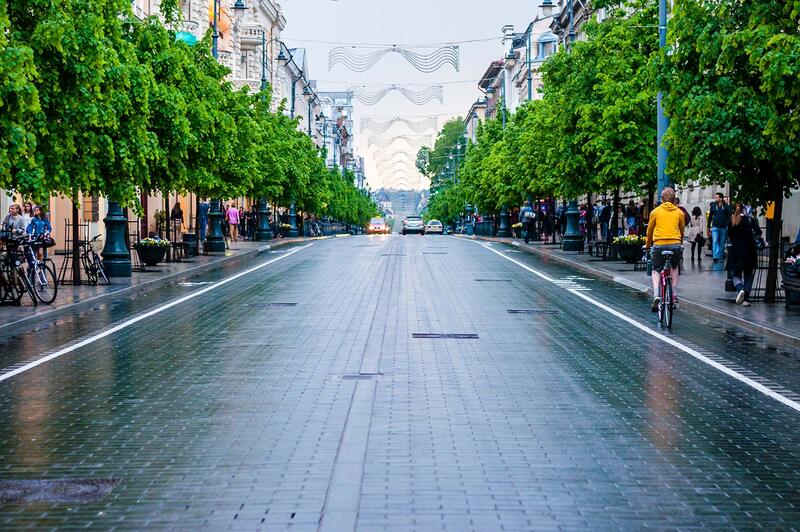 With the ‘Intelligent and Sustainable Development’ project, the EIB is helping Krakow to modernise by means of a multisector framework loan. The project combines, among other features, urban regeneration with sustainable mobility. When completed, it is expected to bring a number of environmental benefits, specifically regarding climate mitigation. Trams, bicycles and pedestrian areas will allow people to leave their cars at home. Energy-efficient buildings will reduce CO2 emissions. Gas heating will replace about 8,000 coal-fired boilers.